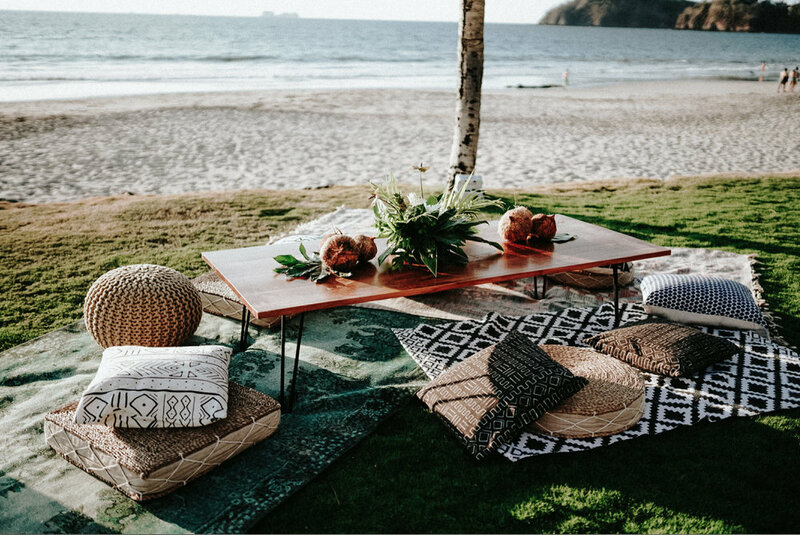 Our Boho Beach Lounge is the perfect setting to watch the setting sun over the Pacific or an amazing spot to spend a quite moment stargazing during the party. 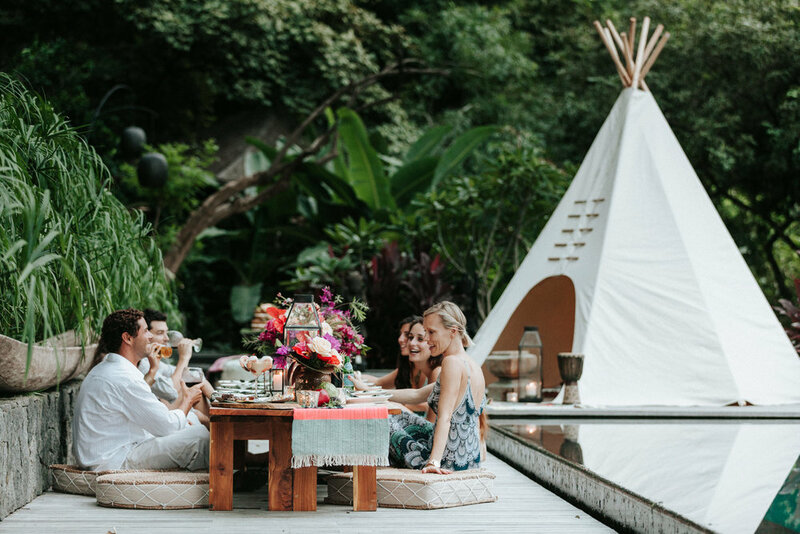 This vibe is sure to create a fun atmosphere a give a touch of Pura Vida to your event. The collection includes two beautiful blankets, two low teak tables with glass tops, 10 mixed colored and textured cushions.